Stillman invents a time machine to go into the past and fix mistakes that led Debbie to break up with him. An expansion of a 2011 Oscar-nominated short, 2018’s Time Freak introduces us to Stillman (Asa Butterfield), a scientific genius. After a year of dating, his girlfriend Debbie (Sophie Turner) breaks up with him. Stillman refuses to give up on the relationship, so he goes to extreme measures. Stillman invents a time machine and along with his buddy Evan (Skyler Gisondo), he uses it in an attempt to fix all his romantic mistakes and make Debbie happy. If we look at the history of time travel stories, I suspect many – maybe most – of them follow the same basic theme as this one. Plenty of these tales trace characters who go to the past to correct supposed problems. That doesn’t mean Freak lacks potential, especially because it follows a romantic-comedy bent. Most flicks in this genre focus on more of a dramatic and/or sci-fi feel, so this one’s lighter orientation gives it a bit of a twist. While it never quite turns into a great film, Freak does manage to use its strengths well. These seem like enough to make it a largely engaging entry in its genre. 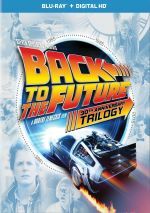 Much of the film follows a fairly traditional Back to the Future motif in which the lead works hard to get matters down the necessary path. Of course, Marty McFly didn’t have continued use of the DeLorean to alter the time continuum over and over, but the concept remains similar. Despite these connections, Freak manages to create its own identity, especially in its final act. One might expect the film to conclude with the resolution of Stillman’s attempts to prevent the break-up, but Freak continues past that point. Those scenes allow the movie to offer something different than expected, and these turn into welcome alterations to the basic plot. While I can’t claim the third act seems wholly successful, I like the variation on the anticipated theme, as they give the tale a bit more heft and weight. The cast adds to the experience, as they prove likable enough. Butterfield remains engaging despite the character’s potentially ugly side, and Gismondo adds fun as the stereotypical wacky sidekick. Though not the greatest actor, Turner seems lovely enough to make us understand Stillman’s fascination with her. All of this allows Freak to provide a pretty enjoyable mix of comedy, drama and sci-fi. While it never threatens to become a genre classic, it’s a fun 104 minutes. Time Freak appears in an aspect ratio of approximately 1.85:1 on this Blu-ray Disc. This turned into a positive presentation. Sharpness worked fine. The occasional slightly soft wider shot emerged, but I felt the majority of the movie offered nice clarity. No issues with jaggies or moiré effects materialized, and edge haloes were absent. Source flaws failed to become a factor here. In terms of palette, Freak went with a stylized look. In an unsurprising move, the film emphasized orange and teal to a substantial degree. Those tones seemed acceptable given their limitations. Blacks were reasonably dark and tight, while shadows showed decent to good delineation. Overall, the image looked fine, as it accurately reproduced the source. When I examined the DTS-HD MA 5.1 soundtrack of Freak, I thought it was moderately active and involving, as the mix used music and atmosphere to nice advantage. These elements created a good sense of place and movement that brought us an engaging soundscape, with the best material found in the smattering of action sequences. Audio quality was fine. Speech was reasonably crisp and natural, and effects showed good punch. Music was also clear and full. The soundtrack didn’t excel but it connected with the story in an appropriate manner. As we shift to extras, we find two audio commentaries, the first of which comes from writer/director Andrew Bowler. He provides a running, screen-specific look at the source short film and its adaptation, story/characters, cast and performances, sets and locations, music and audio, editing, photography, effects and related domains. Bowler provides a pretty solid look at his film. He seems honest with his thoughts and manages to give us an informative, likable overview. For the second commentary, we hear from writer/director Andrew Bowler and producers Raymond Mansfield, Matthew Rhodes and Gigi Causey. All four sit together for this running, screen-specific discussion of essentially the same subjects found in the first commentary. To some degree, the added participants and their perspectives give us a different spin on the movie’s creation, but only a mildly different spin. Bowler dominates this chat, so we remain oriented toward his POV. While this limits the usefulness of the commentary – and can make it redundant after the first track – the piece still works fine on its own. Even with the repetition, it’s still a good discussion and worth a listen. The Making of Time Freak runs nine minutes, five seconds and offers notes from Bowler, Mansfield, Rhodes, and actors Asa Butterfield, Sophie Turner, and Skyler Gisondo. The show examines the source and its adaptation, story and characters, cast and performances, and Bowler’s work as director. Don’t expect much substance from this fairly superficial piece. Bowler’s original 2011 short film version of Time Freak goes for 11 minutes, 25 seconds. Obviously it offers a more abbreviated – and more comedic – take on the subject, but it stands on its own and delivers a fun short. The disc opens with ads for She’s Funny That Way, Ender’s Game and Little Italy. We also get the trailer for Freak. 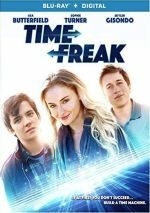 A twist on the time travel genre, Time Freak generally works well. Parts of it seem less successful than others, but the end result remains entertaining and clever. The Blu—ray offers pretty good picture and audio along with a nice array of supplements. Freak delivers a good adventure.